Will mobile payments be the death of plastic cards? A couple of weeks ago I posted an article by Brett King (author of Banking 2.0) on the LinkedIn Mobile Payment Strategy group. The article generated a lot of interesting comment from industry players around the world that I thought would be worth sharing on this blog. The link to the article and the LinkedIn group is here. I agree with Brett in that disruption in payments is not going to come from the incumbents (Amex, Visa and MasterCard), but from new players like Square, PayPal and Apple – its already started and will lead to fundamental changes in the Payment Card industry, eventually leading to the “Death of Plastic”. Apple launching the new iPhone 5 with NFC will drive a lot of the adoption of NFC based mobile payments (see my earlier post on this topic here). Merchants will be the primary benefactors of the death of plastic with lower processing costs / merchant fees as new players come into the market with better value propositions (as per the Square / Starbucks deal). More convenience for the consumer including the bundling of coupons, offers, loyalty cards, receipts, etc automatically into the payment transaction and generating all the appropriate discounts. Recently the speculation about the inclusion of Near Field Communications (NFC) in Apple’s iPhone 5 switched from “Yes it is definitely In” to “No it’s definitely Out“. I believe there is a strong case to support Apple including NFC in the iPhone 5 based on Apple doing things a little differently. 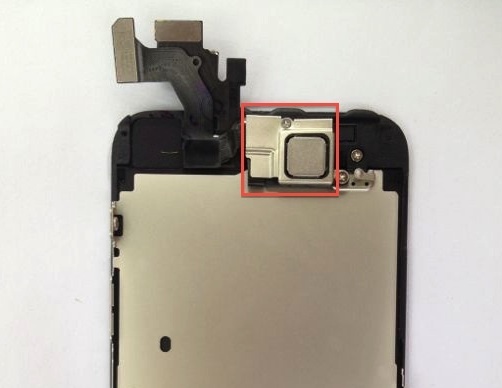 The original speculation was driven by a photograph of a partly assembled iPhone 5 front panel with what looked very much like an NFC chip installed (see picture). Later, further analysis of the photographs and the iPhone 5 construction came out with the view that NFC could not be included because the metal back of the new iPhone wouldn’t allow enough room for the NFC antenna and because of power consumption concerns in conjunction with the new LTE 4G comms technology that will be in the phone. See article here. However, this is Apple so “Think Different“. Apple was granted a patent in April 2011, which covers the addition of an NFC antenna to the front touch screen sensor panel, eliminating the need for a separate space consuming RFID antenna. With the inclusion of Passbook in iOS 6, Apple has implemented the infrastructure for an iWallet (as well as loyalty, coupons, tickets). Along with this, some 250 Million iTunes accounts all with Credit Card payment information, give Apple the ability to be a game changer yet again, this time in Payments. 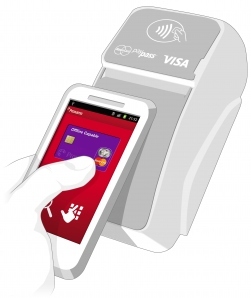 All that is missing is NFC, to actually transmit the payment information at Point of Sale – it has to be there. With the recent acquisition of AuthenTec finger print security technology, Apple also has the ability to add additional bio-metric finger print scanning security to iPhone payments. This will address a lot of the security concerns with mobile payments and further smooth the way for the introduction of mobile payments and a great customer experience. Meanwhile, Visa, MasterCard and major retailers have been quietly rolling out Contactless payment terminals at Point of Sale globally (over 150,000 in Australia alone) putting the retail infrastructure in place for NFC payments to take off. Watch this space. All this, even without the recent moves that the competition (Google Wallet, ISIS, Square, PayPal) are making in mobile payments, means that Apple must move now or risk loosing the advantage in what will be a huge market. Hence, NFC must be there in the iPhone 5.